Budget Your Trip accumulates actual travel expenses incurred by real travelers, who are members of the Budget Your Trip community. The expenses you input on your next trip will become part of the daily averages listed (anonymously of course, unless you choose to make your trip available for public viewing). By amalgamating all user expenses, you can estimate the cost of your next trip. You can see the average daily costs by city or by country, and convert those costs to your own currency. Estimations are further broken down by category (such as accommodation, local transportation, food, entertainment, tours, etc). Once you sign up for Budget Your Trip (it’s free), you can create your own trip on the site. Input your own estimated expenses in a variety of comprehensive categories, using the estimates as a guideline, and customizing it to your preferences. Next, go on your vacation. Keep track of your expenses by inputting your actual expenditures into the program. You can itemize and describe your expenses in as much or as little detail as you wish. Budget Your Trip then takes your trip expenses and allows you to see them in chart, table, or even map views. It also compares your actual expenses with your estimated ones to help you ensure you are on track with your spending and estimations. I’m not exactly your average traveler since I travel full-time and take advantage of working in trade for accommodation and hospitality exchanges a lot of the time, but I’ve found Budget Your Trip to be great for keeping track of my own traveling expenses (in fact, all my expenses, all the time, since I travel all the time). Any expenses I input to the system that fall outside reasonable medians (for example, my accommodation expenses are pretty much zero) won’t get included in the estimated averages for other users, so I have no worries that my own budget will throw off the system either. And when it comes to planning the next stage of my trip, I like the Estimate Travel Costs feature for helping me get a sense for the cost of living in and traveling through my next destination. The first step to budgeting is all about keeping track of your expenses. 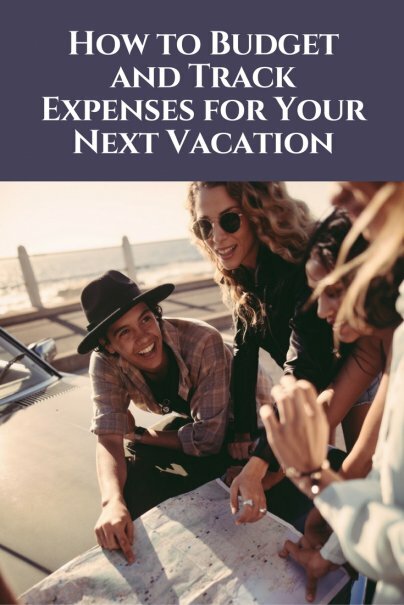 And Budget Your Trip seems to be a great way to help you do just that, in the scope of planning (and setting out on) your next vacation. Nice tip Nora! I wonder if Mint.com can muscle its way into this niche and use their huge library of aggregated spending data to do something similar. Dealing with financial works may be one of the most tiring responsibilities. It takes time and effort to fix certain documents and coming up with a book that contains all of your finances. It requires a thorough and focused analysis to bring out a very accurate financial reports. The importance of this books lies mainly with the appropriate contents that will serve as guides and evidence of your finances. Thanks for these tips! I'm about to go on a nicer vacation than usual with my boyfriend to the Caribbean. Hopefully our expenses don't add up too quickly. One of the great things about Out Of The Dark (OOTD) Budgeting web app aside from the fact that it is a great free online budgeting tool is that it is with you anywhere you go in the world where you can access the Internet, a true travel companion to keep all your finances in order. We used it for our last travel to the Middle East and it worked like a charm, I can no longer imagine travelling without my OOTD travel budget.